Member of the rabbinical college of Lemberg, and appears in that capacity among the rabbis who had to decide a case in matrimonial law with regard to the marriage of the widow of a man who had been killed by the bands of Chmielnicki. 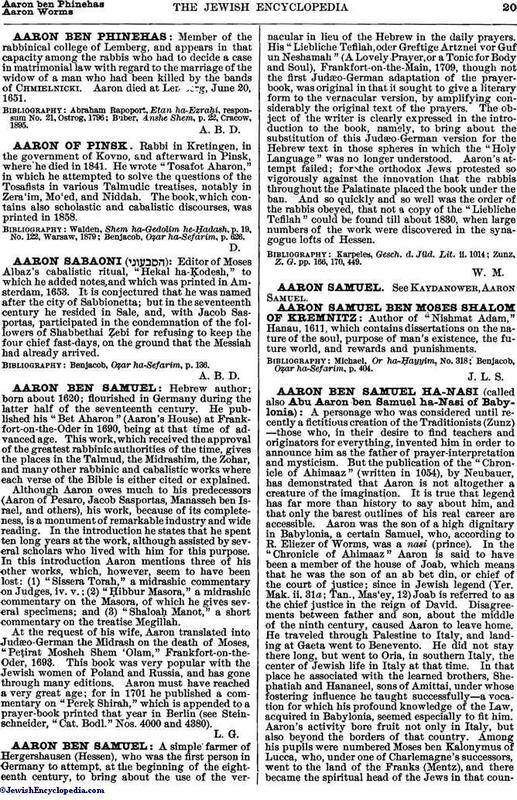 Aaron died at Lemberg, June 20, 1651. Buber, Anshe Shem, p. 22, Cracow, 1895.